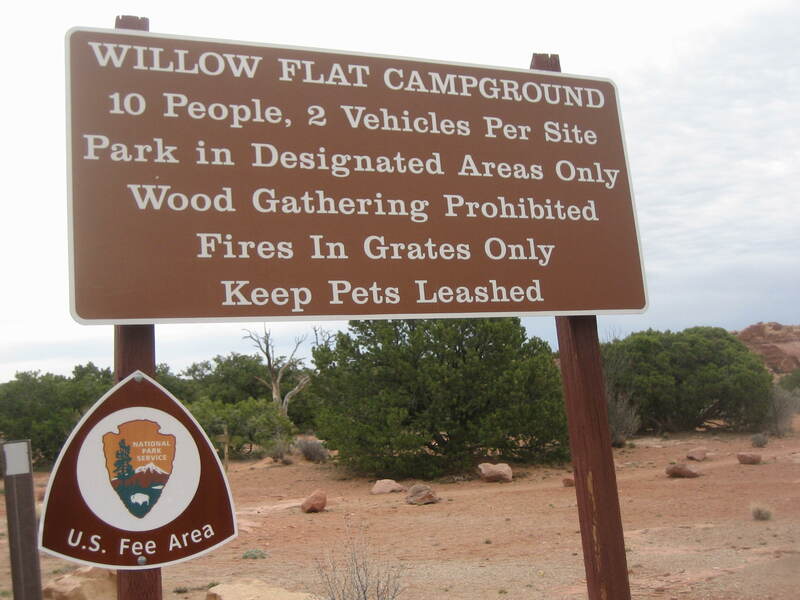 When we were planning our visit to the Island in the Sky District of Canyonlands National Park, The Lady of the House suggested we spend a night in the Park’s Willow Flat Campground. Sunset at the Green River Overlook was a big deal, as was sunrise at Mesa Arch. Camping in the Park would make it easier for us to get to the viewing points at the appropriate times. Also, living in a major metropolitan area means The Lady doesn’t get nearly enough dark sky. The International Dark-Sky Association named Canyonlands an International Dark-Sky Park, so she wanted to camp there to get a good look at the stars in the heavens. 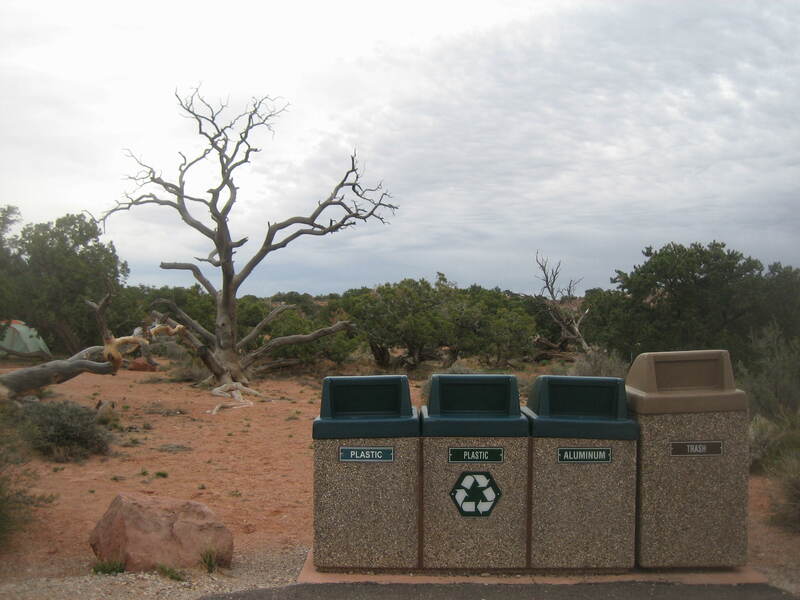 During early April when we visited Canyonlands, campsites were not reserveable. We were on a strictly first come, first served basis, so we wanted to get there early to improve our chances of getting a site. When we rolled into the Park, no one was staffing the admissions booth, so The Lady said she’d have to go inside the visitor center to show her Southeast Utah Group Annual Pass. As we went past the admissions booth, we were dismayed to see a large wooden sign declaring the campground was full. We’d woken early and emerged from the van into a frosty morning to eat a quick breakfast and get on the road. Could the campground really be full this early in the day? The Lady said she’d double check on the campground’s status when she went inside to show her pass. I stayed outside to check the transmission fluid level in my van. The Lady returned to the parking lot triumphant. There was space in the campground! 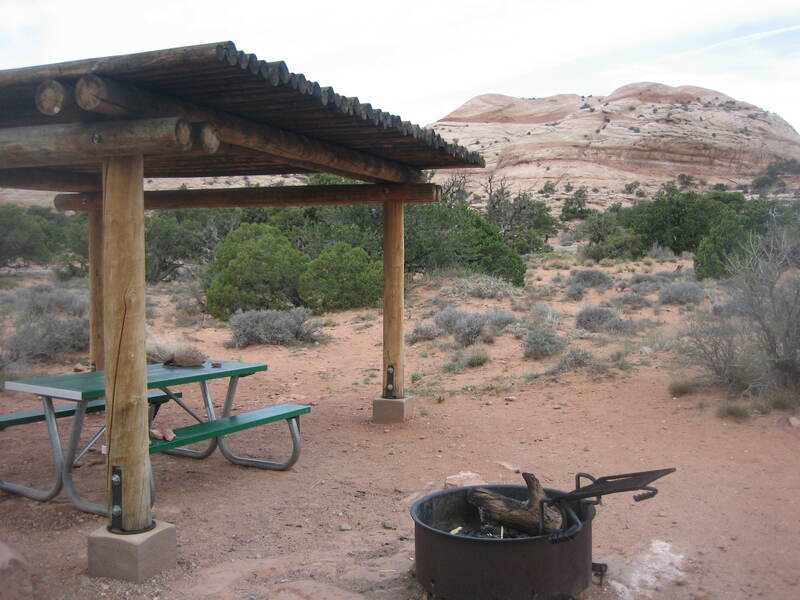 The woman in the visitor center said they never removed the sign that said the campground was full, but that morning they’d received no report that all of the campsites were occupied. The Lady and I hopped into the van and drove directly to Willow Flat Campground. We pulled in and saw a site that seemed unoccupied. We certainly saw no personal belongings anywhere on the site. There was a piece of yellow paper clipped to the sign pole in front of the site. Upon examining the yellow paper, we found written on it that day’s date. It appeared that the folks who’d stayed on the site the night before were scheduled to check out that morning and had in fact already left. Score! We had our site! I pulled the van onto the flat asphalt parking pad. We got out of the van and looked around. Was there a camp host we should see? Should we look for a self-pay envelope and an iron ranger? Across the paved road that ran through the campground, an elderly couple was bustling around on their campsite. They seemed to be packing up, so I supposed they could tell me the process to go through to pay for a campsite. Hello! I called out to them, or perhaps I said, Excuse me, as I walked into the street and approached their site. Is there a camp host here? I asked once I had their attention. A what? they both asked, not quite in unison. I thought the problem was one of hearing, so I repeated, A camp host? a bit louder. A what? they both asked again in utter confusion. A camp host, I said once again, then added, the person you pay for your campsite. You pay with an envelope, the old man said, pointing. He and the woman continued to look at me as if I were a very strange person using an obviously fabricated term to confuse them. How was it possible they’d never encountered the term “camp host”? Was this their first camping trip? Obviously, not every campground has a camp host, but these people seemed unaware of the very concept. However, they had answered my question about where to pay, so I thanked them and moved on. The Lady and I walked in the direction the old man had pointed and found self-pay envelopes and the iron ranger. The camping fee was $15, as expected from what we’d read online. For our money we got clean pit toilets with toilet paper, trash cans, a flat space to park the van, a fire ring, and a picnic table under a shade structure. The grounds of the campground were very clean and well-maintained. When The Lady and I read the information boards near the iron ranger, we learned about the procedure for disposing of grey water. We were either supposed to strain all food out of wash water, then sprinkle the de-fooded water on the road or dispose of nonstrained water by pouring it into one of the pit toilets. I’d never heard of this sort of cleanup, but I suspect it’s to keep wild animals away from campers. I suppose even the smallest food particles on the ground attracts critters, so this is a way to keep the campground unappealing to unwanted visitors. After dinner, The Lady and I went to the Green River Overlook to watch the sun set. Unfortunately, the sunset was a non-event, but we were still glad to have our spot at Willow Flat. We were in the van soon after dark, early to bed with plans to rise early for sunrise at Mesa Arch.